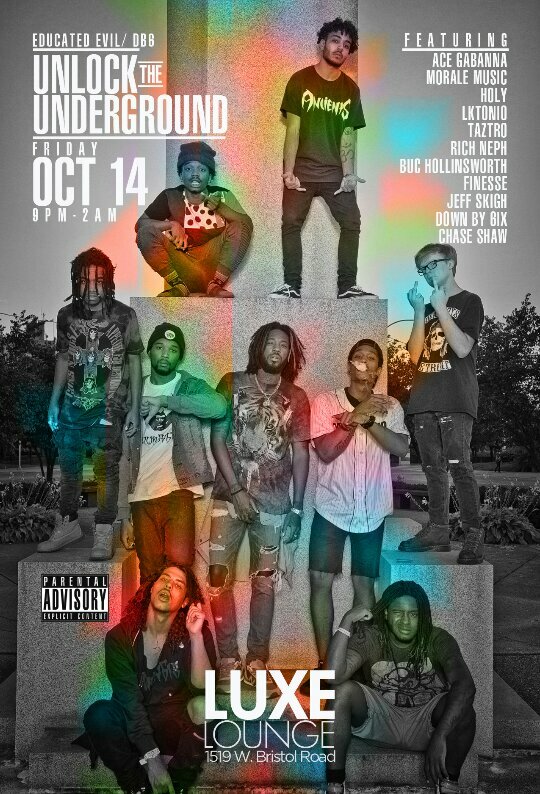 The Flint, MI-based clothing line Educated Evil and the music collective DB6 (Down By 6) present the very dope showcase Unlock The Underground on Friday, October 14th, 2016. The show includes live performances from some of Flint’s hottest artists on the come up including Ace Gabanna, Holy, LK Tonio, Buc Hollinsworth, Finesse, Jeff Skigh, and the whole Down By 6 crew, just to name a few. 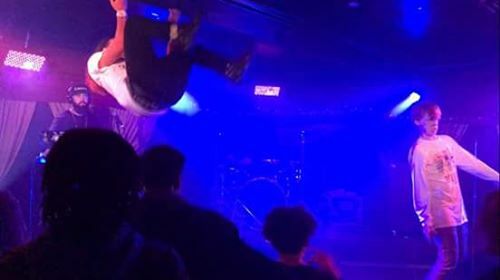 The mission for Unlock The Underground is to give local acts the platform to introduce themselves and contribute their sounds to the city’s culture. Peep the flyer above for the time and location, and if you’re in the Flint area on October 14th, please come out to support the dope music artists of Flint, MI. For more details, check out the official event page.